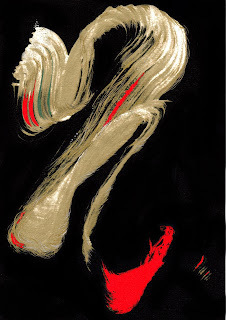 This painting uses the first Japanese character of somen - "so" そ. I added colours and some fine brush marks to turn it into a symbol. I'm thinking of using the same technique to paint letters of the alphabet. Please have a look at the first painting in this series here.